Erin Jean nailed it with this couple. 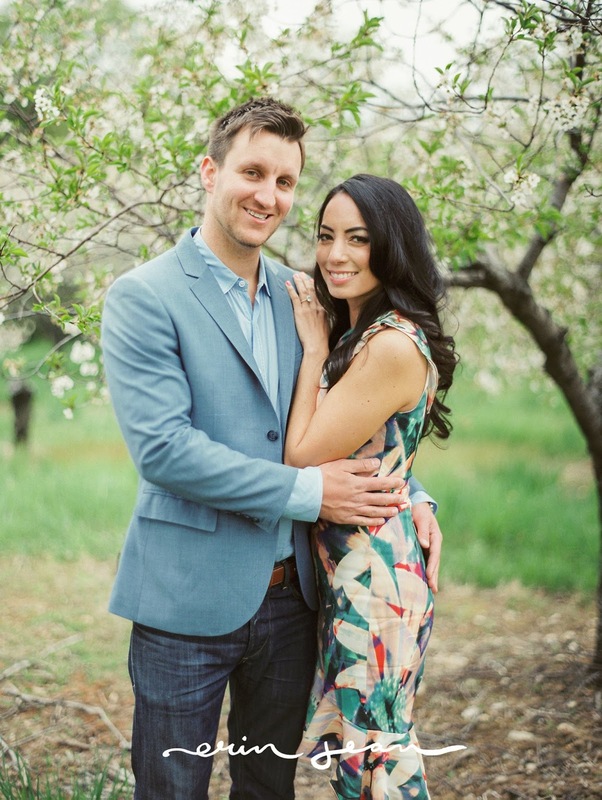 Sweet cherry blossoms blooming, big smiles, and a lot of love. Door County is magical I tell ya. The beautiful Tina rescheduled her shoot in order to get the perfect blooms involved. 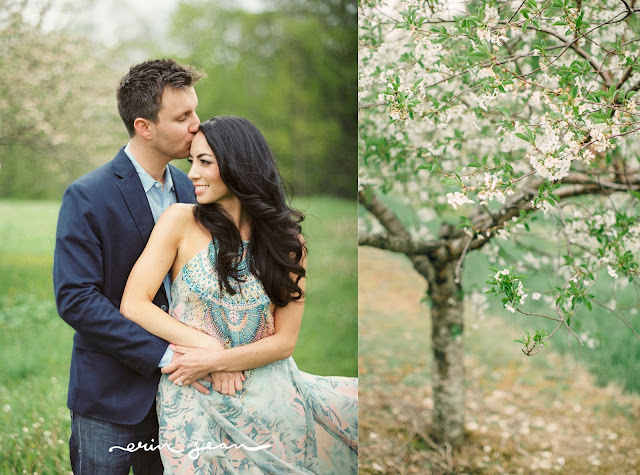 Door County cherry trees are a perfect backdrop for a romantic engagement session.